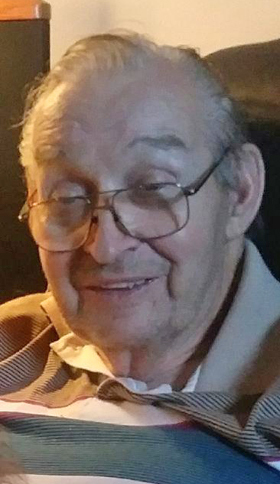 SALEM — William Loren Milhoan Sr., 82, of Salem, died at 9:05 p.m. Sunday at his home. Born Aug. 31, 1936, in Edinburgh, Ind., he was the son of the late William H. and Helen (Smith) Milhoan. Mr. Milhoan was a retired automotive mechanic from Sam Brown Dodge, but also worked at Parker Chevrolet and Stratton Chevrolet. He was a member of the Locust Grove Baptist Church. Survivors include his wife, the former Nancy Edwards, whom he married on June 25, 1955; their children, Susan Marie (Fred) Potts, William L. Milhoan and Connie Lynn Milhoan, all of Salem, and James Edward (Raquel) Milhoan of Lake Forest, Calif.; siblings, Eileen Phillips, Linda (Michael) Hilliard and Ben (Becky) Milhoan, all of Salem, 10 grandchildren; 13 great- grandchildren; and one great-great-grandchild. He was preceded in death by a daughter, Nancy Lee “Penny” Kleinman; and a grandchild. The family is following Bill’s request that there be no public visitation or services held. He will be buried in the church yard of the Locust Grove Baptist Church in Green Township. Arrangements were handled by the Arbaugh-Pearce-Greenisen & Sons Funeral and Cremation Services.